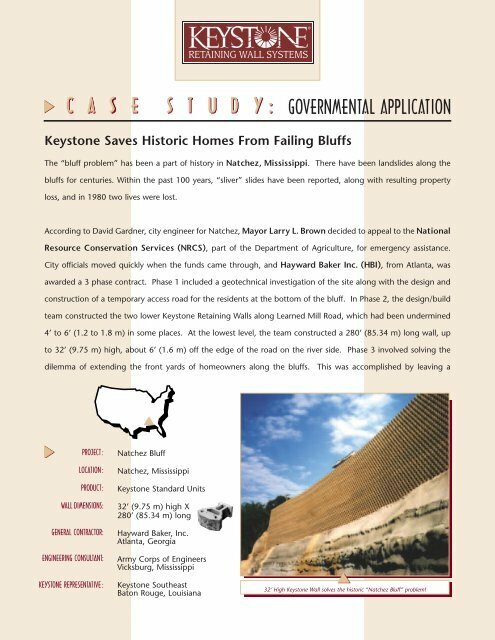 ®C A S E S T U D Y : GOVERNMENTAL APPLICATIONKeystone Saves Historic Homes From Failing BluffsThe “bluff problem” has been a part of history in Natchez, Mississippi.  There have been landslides along thebluffs for centuries. Within the past 100 years, “sliver” slides have been reported, along with resulting propertyloss, and in 1980 two lives were lost.According to David Gardner, city engineer for Natchez, Mayor Larry L. Brown decided to appeal to the NationalResource Conservation Services (NRCS), part of the Department of Agriculture, for emergency assistance.City officials moved quickly when the funds came through, and Hayward Baker Inc. (HBI), from Atlanta, wasawarded a 3 phase contract. Phase 1 included a geotechnical investigation of the site along with the design andconstruction of a temporary access road for the residents at the bottom of the bluff. In Phase 2, the design/buildteam constructed the two lower Keystone Retaining Walls along Learned Mill Road, which had been undermined4’ to 6’ (1.2 to 1.8 m) in some places. At the lowest level, the team constructed a 280’ (85.34 m) long wall, upto 32’ (9.75 m) high, about 6’ (1.6 m) off the edge of the road on the river side. Phase 3 involved solving thedilemma of extending the front yards of homeowners along the bluffs. This was accomplished by leaving aPROJECT:LOCATION :PRODUCT:WALL DIMENSIONS:GENERAL CONTRACTOR:ENGINEERING CONSULTANT:KEYSTONE REPRESENTATIVE :Natchez BluffNatchez, MississippiKeystone Standard Units32’ (9.75 m) high X280’ (85.34 m) longHayward Baker, Inc.Atlanta, GeorgiaArmy Corps of EngineersVicksburg, MississippiKeystone SoutheastBaton Rouge, Louisiana32’ High Keystone Wall solves the historic “Natchez Bluff” problem!